My grandmother had a lovely assortment of pins she would wear on her coats. 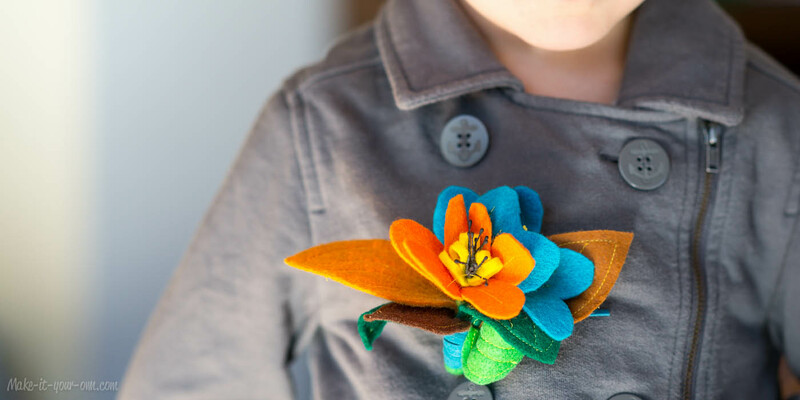 Inspired by nature around us, we traced leaves and added some felt florals to make this pin for your lapel. 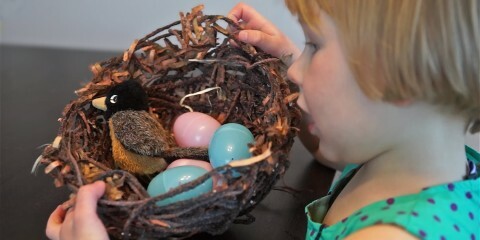 This post was featured on The Crafty Crow! 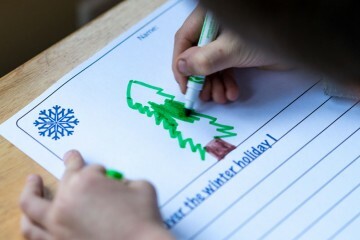 Check it out for more seasonal, thematic, play-based and process oriented ideas. 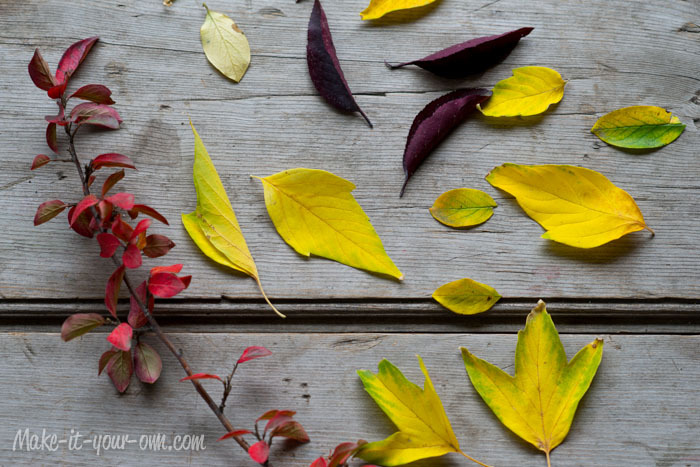 Go on a nature walk and collect several different types of leaves. Don a smock to protect your clothing. 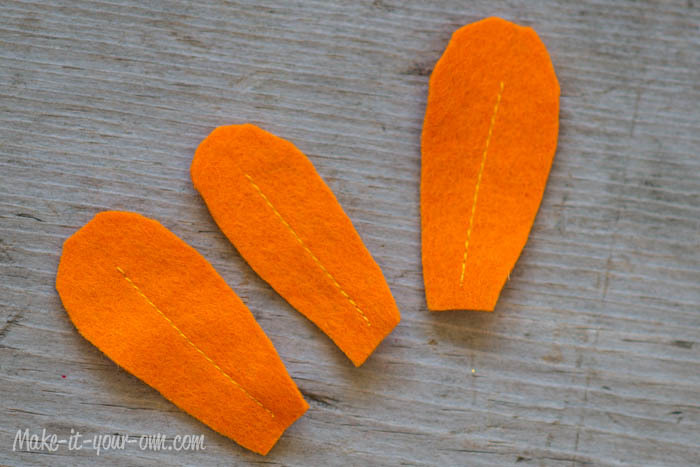 Place the leaves on your various colours of felt and trace them using a sewing marker. Alternatively if you are working on a dark colour such as red, use a light pencil crayon such as white. For light felt colours, use a darker shade of pencil crayon. 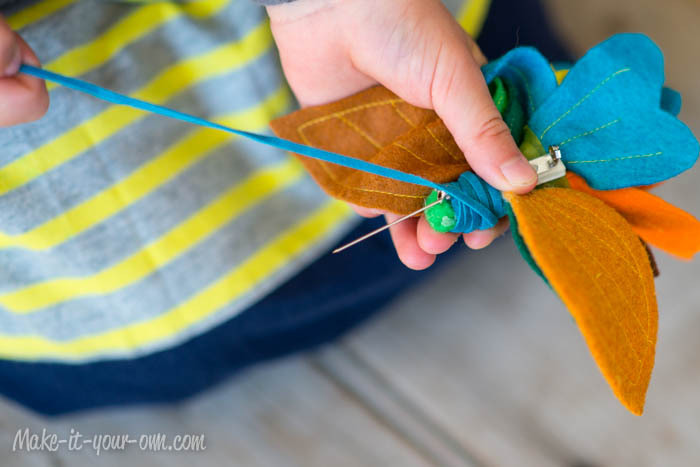 Cut out your leaves with fabric scissors. 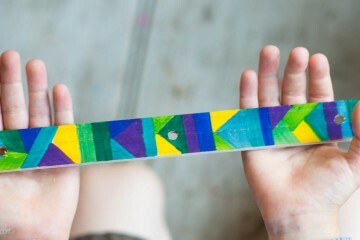 Flip them over so you can’t see your tracing lines. We decided to sew around the edges and create sewn midribs and veins. 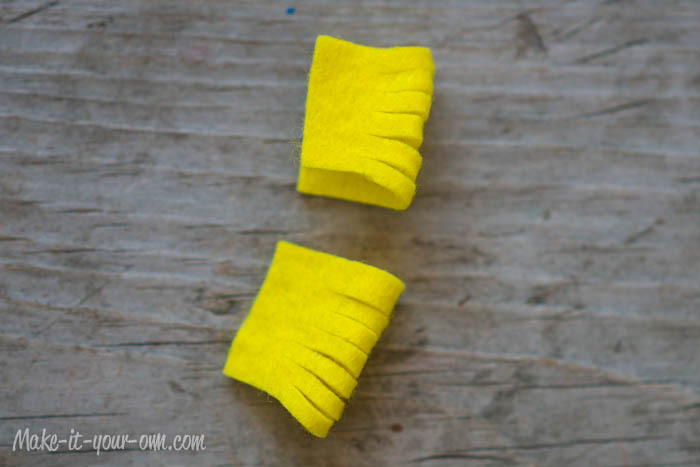 You could do this optional step by hand or with a machine. 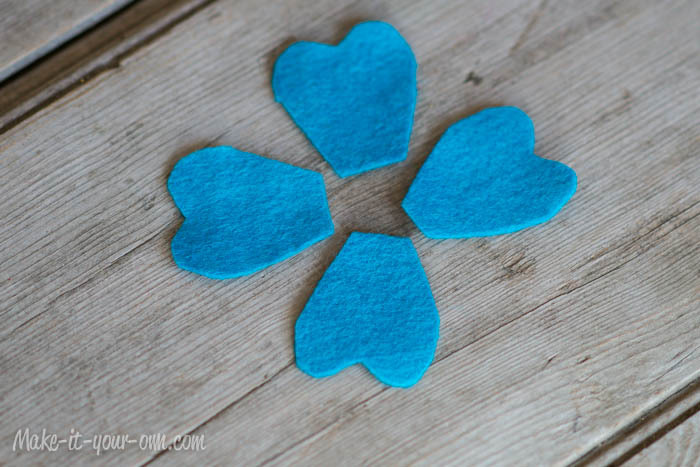 To make your flowers, we suggest watching our video for crepe paper flowers below and to follow the same method using felt and fabric glue instead of crepe and tacky glue. Below are some photos of some of the elements and details we added. 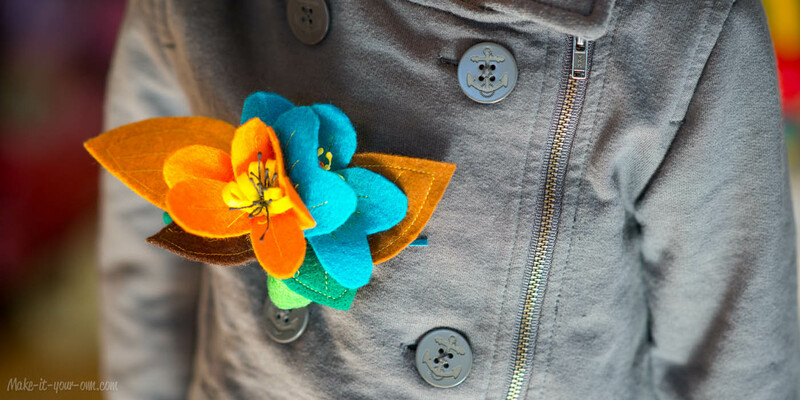 Once you have made the components of your pin (the flowers and the leaves), we then twisted the two floral wires together, wrapping them in floral tape. 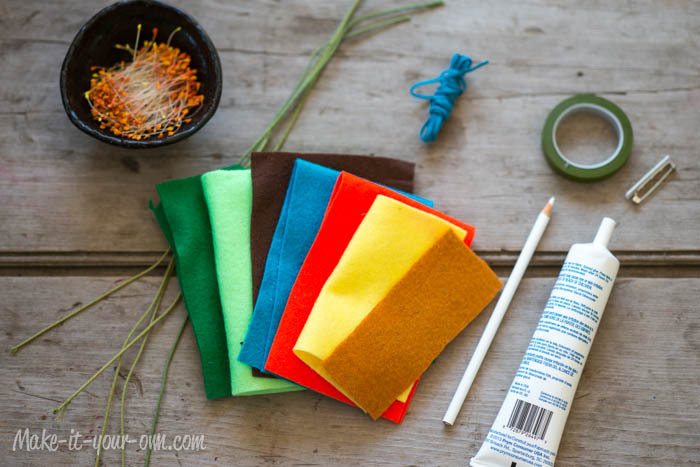 Glue on and wrap the base of the stems of your leaves into the small bundle with floral tape as well. We had an adult glue this on to the base of the pin (with strong hold glue or a glue gun) and then wrapped it in cord to not only secure it, but to give it a more polished feel. Be sure to open the pin while you do the wrapping. Pin onto a shirt, jacket or dress. Be careful not to poke yourself! Fabric scissors can be quite sharp, use with caution and direct supervision. Wear a smock and use a craft tray to prevent damaging clothes and/or surfaces from the glue. An adult should use a glue gun/strong hold glue. An adult should use the sewing machine or one should do so (based on his or her age and abilities) with direct adult supervision and guidance. Thank you for the leaf inspiration. 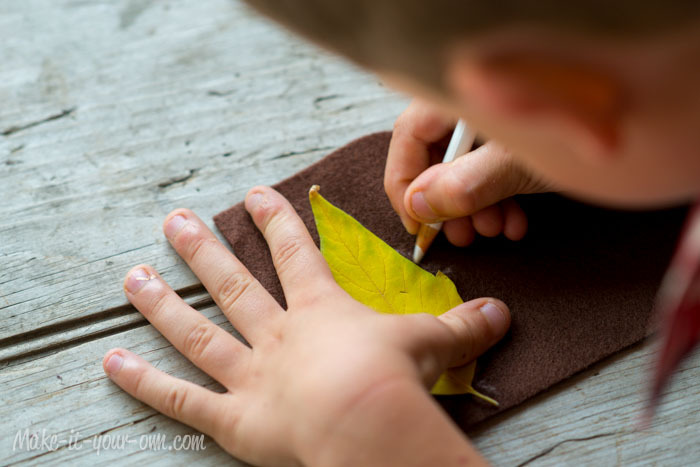 It looks so natural I wonder why the idea of using real leaves as templates for felt ones didn’t come to my mind before reading your post. 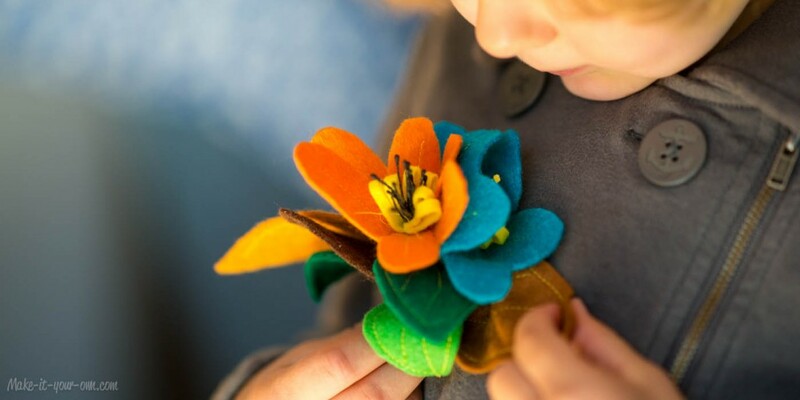 You have made a wonderful brooch any child would be proud to wear. 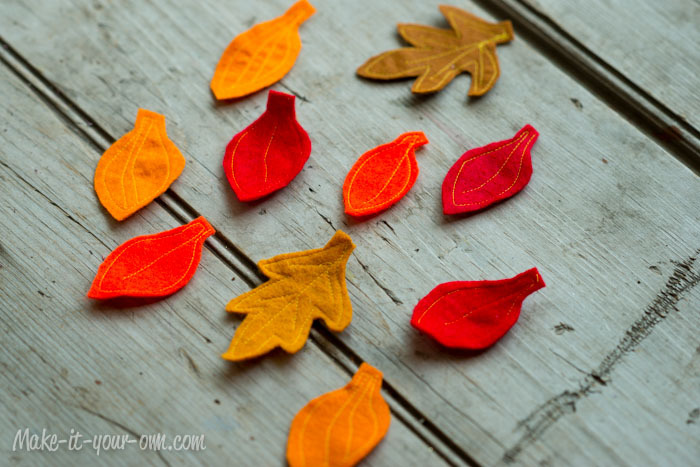 As for me I’ve been using the leaves for crafts and games with young language learners. And yes, I’ll be grateful if you share my images with your readers. Thank you for asking.